This study explores the intergenerational relations of immigrant families after migration to the Helsinki Metropolitan Area. We describe the structure and quality of intergenerational relations and the migration-related changes in these relations from the adolescents’ point of view. This study utilizes quantitative data on immigrant adolescents’ health and well-being (N=380) and semi-structured interview data (N=80). While changes within intergenerational relations are common to all families, we understand immigration as a specific process that affects family dynamics differently due to the shift in the immediate social environments of adolescents and their parents. The theoretical framework is an ecological framework in which the development and integration of adolescents are understood to be affected by their surrounding social and institutional environments. The study combines perspectives of cross-cultural psychology, acculturation research, and developmental psychology. The results illustrate the changes in family structure and living arrangements after migration. In the qualitative part of the study, adolescents with various ethnic and cultural backgrounds describe and define the changes they have experienced in intergenerational relations since migrating. Adolescents connect these changes to cultural negotiations, as well as their age and also their migration context, including changes in family structure, use of time, and livelihood. After immigration, adolescents adapt not only to the new society and culture, but also to changes happening within the family. The analysis of the interview data also highlights the agency of adolescents in shaping their intergenerational relations after migration. Transnational adoption is one form of global mobility and migration. In Finland, there are approximately 6 000 transnationally adopted people. Transnational adoption is visible in Finnish media, but at the same time it is mostly discussed from the perspective of family and family building. Research on the subject in Finland is still rare and its absence is striking, especially in migration studies. The position of transnational adoptees’ in the host society transcends dominant views of ethnicity and kinship and challenges simple notions of belonging. This article concentrates on how transnational adoptees negotiate belonging in relation to Finnishness in everyday encounters. The empirical data used in the article was collected during the period 2009–2011. The data consists of 24 individual interviews with transnationally adopted young adults. Sixteen women and eight men participated. Most of the participants (n=17) were 18–24 years old at the time of the interview, and the rest of them (n=7) were 25 years or older. The participants were born in nine different countries, and the most common ones being Ethiopia, Russia, Colombia, and India. Data was analyzed from the perspective of politics of belonging and racialization. According to the results, transnational adoptees negotiate belonging in everyday encounters in relation to several ethnically and racially labeled categories and hierarchies of power: in relation to Finnishness, the category of “immigrant”, and hierarchies based on different nationalities and/or birth countries. While African and Asian born adoptees try to avoid the stigmatized position of “immigrant” or “refugee”, Russian born adoptees try to avoid the stigmatized position of Russians in Finland. The adoptees’ experiences are in line with earlier research results stating that Finns are more sympathetic to transnational adoption than other reasons for migration, especially refugee or other humanitarian migration to Finland. Belonging to the nation and to the family are intertwined in the sense that questioning the former also questions the latter and vice versa. Revealing ones adoption discloses (presumptions) of social class position and socialization to Finnish culture, and makes it easier to be included inside the circle of Finnishness. Nevertheless, transnational adoptees sometimes wish to distance themselves from “ordinary Finnishness”. International work-based mobility has become commonplace for many families. To increase our understanding on how the children of these families experience the recurrent moves and life changes, this article, based upon a qualitative PhD study, reviews the lived experiences of a small cohort of youth who have moved internationally several times throughout their childhood. The values and disparities related to international (as experienced) versus sedentary (as the norm) lifestyles are discussed. The notion of ephemerality is also explained, which is central to their meaning making and encompasses several aspects of their life. Furthermore, the different strategies these youth deploy in order to make sense of their migration and utilize to cope with the transitions are highlighted. Moving across national borders, i.e. transnational mobility, has become one of the key defining features of a globalized world. In this article, our focus is on the various understandings of transnational everyday life by families and family members of different ages. There has not been much research yet on children’s perspectives regarding cross-border migration. And yet, migration greatly affects children, irrespective of whether they themselves move across borders or stay in their home country whilst their parents move and/or work abroad. Children also take part in, react to, and adapt to parental decisions to migrate, and as such reinterpret the adults’ choices. Estonia and Finland are geographically and linguistically close neighbours, and after the dissolution of the Soviet Union a tightly knit transnational space of connections and mobility has emerged between the two. We investigate this space through interview data collected in 2013-14 among Estonian families who moved to Finland. The central aim of this article is to analyse the differences in the way parents and children structure their family’s transnational mobility and everyday life. 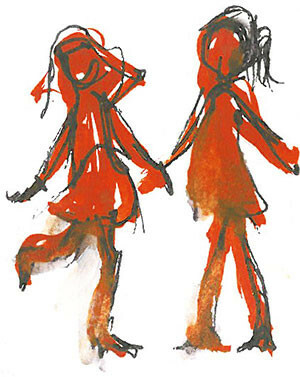 The children’s narratives connect to certain moments and to particular close people, places, animals, and corporeal and sensory experiences. We examine the multiple meanings of home for children and ponder about the particular kind of fragility of transnational childhoods. The article focuses on the reasons and nature of children’s moving in the context of child welfare clienthood. The changing of children’s residential places and movement between places, the small moves behind statistics, in the framework of multi-local residency form the core of this examination. The changes in the composition of the residential family and child welfare interventions are found as causes for residential movement. The nature and rhythm of the movement can be sequential, parallel, circular, or pendulum like. The cumulation of different kinds of small moves is typical for children who are in child welfare clienthood. Further, a group of children whose life conditions change all the time can be identified. These notions are important since the children investigated live at home and most of their small moves are not registered as official moves. Generally, it is thought that the stability of close relationships and of the place of residency are grounding features of children’s welfare. In child welfare work, it is not usual to analyze the child’s residential history when situations are assessed and decisions are made. Therefore, the analysis of small moves opens a new and so far, hidden dimension to migration studies. What are the reasons for youth of Somali descent in the diaspora to travel to Somalia, at the same time as thousands of youth from Somalia try and risk their lives to leave Somalia with the help of traffickers? On the one hand, I focus upon trips that promote the careers of the young diaspora, and on the other hand on the ‘return’ of young people to the home country of their parents for education purposes. In both types of travel the role of parents and family is central, although the youth themselves are also active in decision making regarding the trip. The majority of youth visit the home country of their parents during family holidays, but some of the youth also utilize family networks to advance their own aims in their studies and careers. The agency of parents and family is particularly important in their “returning to culture”: to realize cultural, religious and family values and provide direction for one’s own life. For most young people, their visits to Somalia are important for strengthening one’s own identity and finding one’s roots. Their visits also help to see the societal inequality and create a feeling of nearness to their family members in Somalia. However, in the case of those young people who reside in Africa involuntarily, the situation is more multifaceted, for example if a young person has had problems in their life in the diaspora the same issues are likely to continue in Somalia. The article is based on data that I collected in two projects funded by the Academy of Finland. In particular I use interviews of Canadian Somali and Finnish Somali youths who live in Toronto and Metropolitan Helsinki. The youths were aged between 12-36 years and were born either in Canada or Finland, or moved there when they were young. The total number of interviews was 36, including 20 girls and 16 boys. This article discusses the meanings given to moving house in the lives of rainbow youth. The concept of rainbow youth refers to those who belong to sexual or gender minorities or are seen as challenging the norms governing sexuality and gender. The data used in the article was collected in the ‘Wellbeing of LGBTIQ Youth’ research project and consists of a survey (conducted in 2013, N=2355) and a collection of life writings (conducted in 2014, 127 writings). The respondents are both young people and adults, and for the analysis the data is divided into four age cohorts. This article discusses three types of moving house: moving away from one’s parents’ home, moving to another city or area, and dreams of, as well as actual moves to another country. The meanings given to moving home seem rather similar regardless of the age cohort, and this data does not confirm the assumption that younger generations feel more often support from their families or surroundings. It is suggested that the increased visibility of LGBTIQ issues has raised the expectations of acceptance and equality among young people, and these expectations are not always met. The three different types of moving of home discussed fill slightly different needs in the lives of the rainbow youth. Moving away from their parental home offers privacy and distance from parental supervision, whilst moving to another city or area can give access to LGBTIQ communities and provide the possibility for relationships. Moving abroad or dreaming about leaving the country may help construct an adulthood on one’s own when the models of adulthood available feel too restrictive or normative. This article explores the migration alacrity of young people in three regions of Eastern Finland. The main objective of the article is to describe what factors explain young people’s migration alacrity, how high migration alacrity is and where it is directed. The research data is based on the Youth Barometer of Eastern Finland (N=2084). The data was collected in 2011 using an electronic survey. The research questionnaire consists of migration alacrity and location expectations measuring clusters, altogether 30 items, which are analyzed in this article. The theoretical view is based on three components of migration alacrity – location, locale, and sense of place (Agnew 1993; 2011). Further, the theoretical framework also consists of an overview to previous research on well-being, employment and social equality, which have been seen as a significant factor in understanding migration. Migration alacrity is high among young people in Eastern Finland. Almost all of the people who were sampled have migration plans. In most cases, migration alacrity is based on the intention of having better possibilities and more options regarding education, work, and well-being. Theoretically, location was the most important factor of migration alacrity. The most attractive places in Eastern Finland were the regional centers (Kuopio, Joensuu, Mikkeli) and the most desired places outside of Eastern Finland were the Western regional centers (Jyväskylä, Tampere, Oulu). On the whole, migration alacrity seems to be directed to the West instead of the more obvious South. Male asylum seeker’s relocation in particular and the residential segregation of ethnic minorities in general, has been debated in Finland over the past few years. The concentration of immigrant populations in the capital area is thought to cause “ghettoization” and undermine possibilities for integration. The popular assumption, and a result of some quantitative studies, is that pull factors of urban areas (employment and ethnic communities) and push factors of smaller localities (parochialism and lack of sociability) are the main causes of the concentration. In this article, these assumptions are examined by utilizing qualitative interviews conducted with young immigrant men (n=38) settled in Finland. In the interviews, reported migration inside Finland is directed toward more densely populated areas. However, the results are more complex since many of the interviewees report about positive experiences in smaller localities. Residential concentration in the capital area seems to have both positive and negative consequences for migrant men. On the one hand, within the capital area employment at least in the secondary labour market and ethnicity-based networking are relatively easy tasks. On the other hand, the accommodation in the early phases after immigration tends to be successful in more loosely populated areas due to the accessibility of public services, clear educational paths, and approachable peer circles. Consequently, and in line with many international studies, the evidence in favour of or against residential segregation of immigrant populations is ambivalent. Young people of immigrant background – are they the beacon of hope for the Finnish periphery? In Finland, immigration tends to be discussed in relation to the various challenges and problems that it allegedly brings. In recent years, the negative discussion has been complemented by a more positive argument which portrays immigrants as a potential resource for Finland’s future. Politics are now being made on the basis that immigration enhances innovation and brings new cultural influences and vigour into Finnish society. In Finnish regional policy, both young people and immigrants are pinned with various hopes and expectations. By analyzing interviews conducted among people who are dealing with immigrant integration in North Karelia, this article identifies discourses which characterize the contradictory nature of expectations that are directed towards immigrant youth in the context of regional policy. These are the discourse of population and productivity, the discourse of doubt and the discourse of assimilation. In addition, a discourse of human rights is used to talk against the tendency to economize young people’s lives. If the locals expect young people of migrant background to integrate or, in fact, assimilate and to become just like them, an opportunity for innovation and cultural regeneration, which are much sought after in regional politics, is lost.